World Read Aloud Day 2019 was celebrated on February 1 in venues across Africa. In Africa, World Read Aloud Day is mainly about getting children into reading aloud which is exactly what happened in Botswana. In the Southern African country, Gaborone Book Festival volunteers visited five schools and read aloud to students. The schools are Bosele Primary, Camp Primary, St Conrad’s Primary, Bokamoso, and Motswakhumo Junior Schools. It was especially good to see the jump in students participating from 608 students in 2018 to 2530 this year. Apart from the readings, the team would also donate 170 books to selected schools. World Read Aloud Day 2019 in Gaborone. 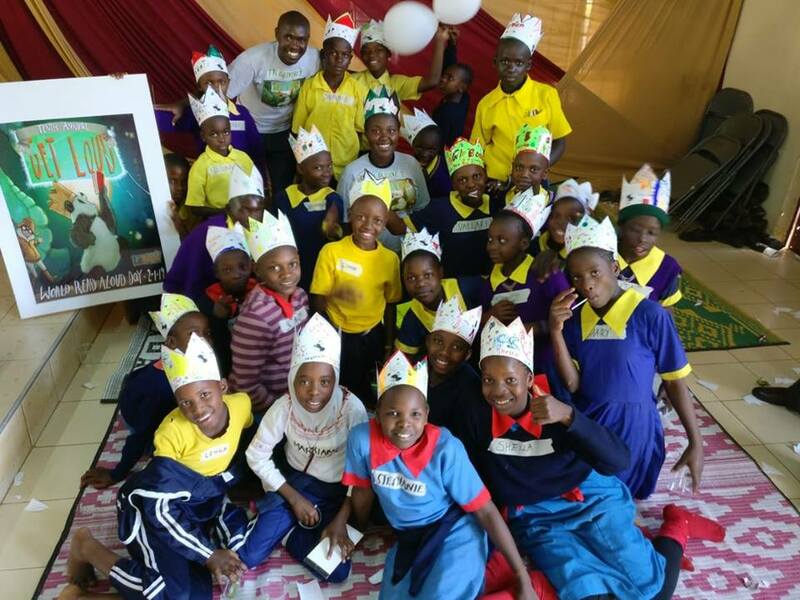 In Kenya, the main celebration was hosted at KAG Kibera where students from 13 schools would take part. There would be reading aloud and several other activities with Wangari The Storyteller as an invited guest. In Sierra Leone, the Child Welfare Society-Sierra Leone celebrated the fifth Chapter of World Read Aloud Day. At a colourful event at the organisation’s head office in Freetown on the theme ‘Reading Is As Important As Eating’, the organization’s Executive Director, Moses S. Mambu, stated that it is important to read because reading gives one knowledge, information, and insight into what they didn’t know before. “A lot of the things we are scrambling with today as a nation will be a thing of the past if we make reading a culture in Sierra Leone”, Mambu pointed out, adding that children should know what is happening around them. He encouraged parents to train up their children in the culture of reading, adding: “There is no magic to knowledge, except reading”. In the Pearl of Africa, our favourite publisher and children’s literacy advocacy organisation Soo Many Stories hosted an event at their Children’s library in Kampala. The children who attended were divided into two groups, with the older children reading and discussing the different themes in Tesa and Luuka’s trip to Rwenzori while the younger children listened to Siba and Siba; a story written for children by a local author. Readings were done by both children from the ward and representatives from the EU Delegation led by Emmanuel Gyezaho, Press and Information Officer and Marion Beijuka, Finance and Contracts Manager. The EU delegation would also join children at the Uganda Cancer Institute. Read more about it here. Previous Previous post: Kevin Mwachiro’s “Nipe Story” Podcast is one year old. Next Next post: Bensalem Himmich on Sheikh Zayed Book Award 2019 shortlist.